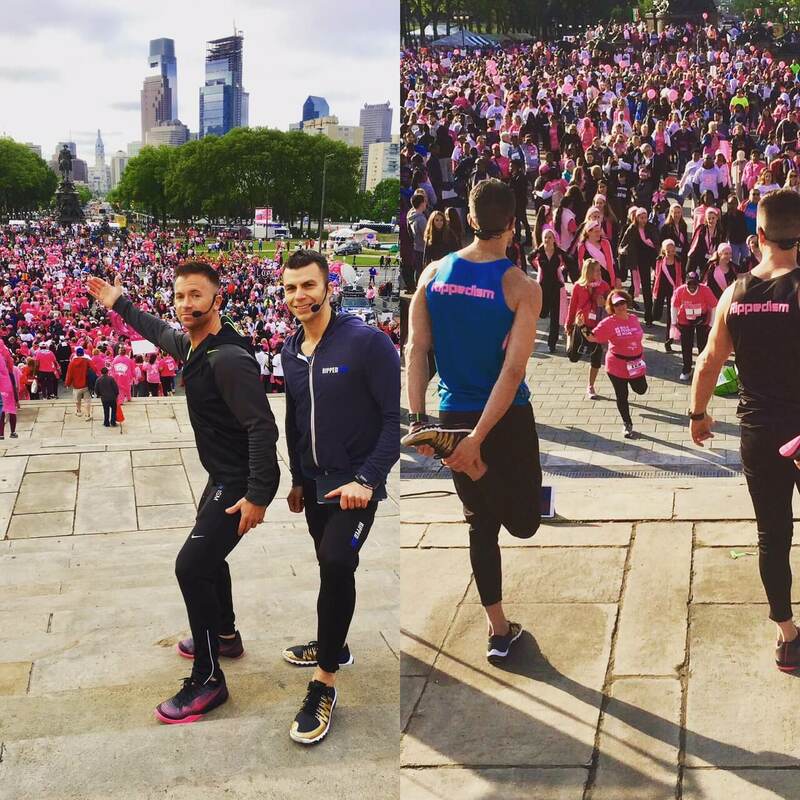 For the past 2 years, we have be fortunate enough to be invited to warm up the runners/walkers at the Susan G Komen race for the cure in Philadelphia. This is a great cause that raises awareness and funds to help battle breast cancer. This past Mother’s day we had the chance to return for this great event. It is always fun getting up in front of a crowd of tens of thousands of people but year was extra cool because we got to do it on the steps of the Art museum where Rocky made his famous run to the top of those stairs. It was a really fun day and the crowd was amazing.